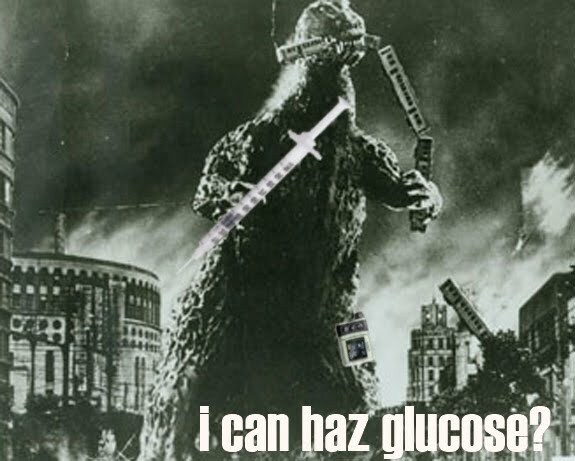 Godzilla has diabetes and was suffering from an extremely bad low when he raided that city... Nom. Nom. Nom.